Under the patronage of HE Dr. Mohammed Abdul Wahed Al Hammadi, Minister of Education and Higher Education, Sasol, the international integrated energy and chemical company, Friends of the Environment Centre (FEC) and the Supreme Education Council (SEC) marked the conclusion of the two and a half month ‘Qatar e-Nature’ schools contest with an awards ceremony at the Hilton Doha Hotel where the grand prize is two tickets and an all-expense paid nature trip to South Africa, home to Sasol’s global headquarters. In addition, several trophies and the latest iPads and iPhones were awarded to students and schools for their outstanding participation during the competition. Mr. Rabiaa Bin Mohammed Al Kaabi, Undersecretary of the Ministry of Education and Higher Education represented the Minister at the ceremony. Nasser Abdullah Ibrahim Hussein Ibrahim from Nasser Bin Abdulla Al-Attiya Independent Secondary School for Boys won the grand prize trip to South Africa. In addition, 13 winners from each of the age categories were in attendance on the evening to receive their awards. 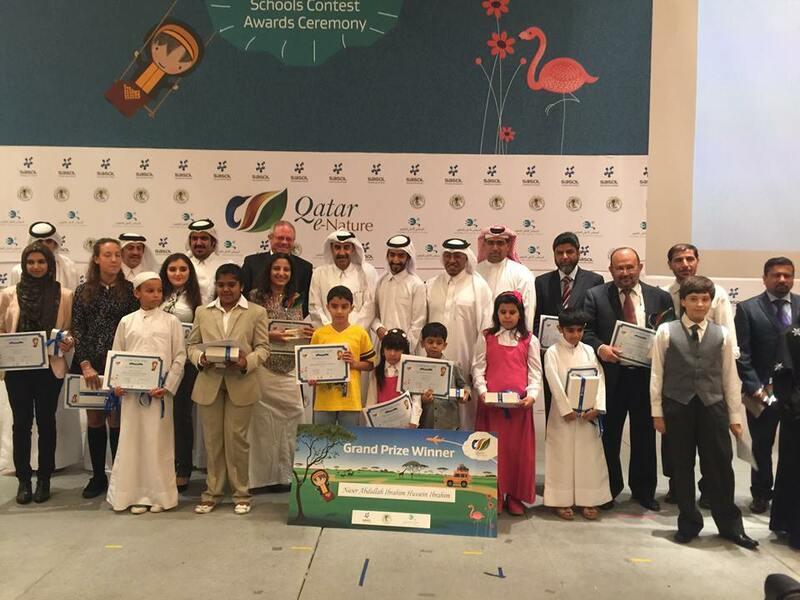 Five schools were recognized for their students’ high participation rates: Al Khansaa Primary Independent School for Girls, Abu Obaida Preparatory Independent School for Boys, Nasser Bin Abdulla Al-Attiya Independent Secondary School for Boys, The Next Generation School and Noble International School. The schools contest, in its second edition, was based on the ‘Qatar e-Nature’ app – a first of its kind smartphone application that highlights the rich diversity of Qatar’s environment, including plants, birds, mammals, reptiles and insects. Sasol developed the application in collaboration with Friends of the Environment Centre, which features content in Arabic and English. It aims to support the objectives of Qatar National Vision 2030 by promoting sustainable development through an environmentally aware population. This year, the Supreme Education Council lent significant support, extending the reach of the contest to all schools in Qatar. Since the contest launched in February 2015, the Qatar e-Nature Schools Contest featured 15,000 participants from various Independent and Private schools, with more than 3,000 photo entries where students had the option to send a photo related to Nature in Qatar. A committee from Sasol, Friends of the Environment and professional photographers judged 3,000 entries for the accompanying photography competition. Three winners received their recognition awards on the evening as well. 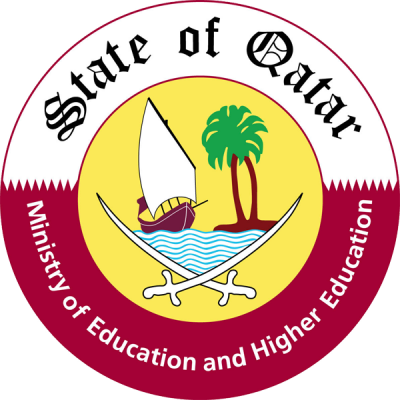 The schools contest was open to all students enrolled in schools in Qatar from grades 1 to 13. Students were encouraged to find the correct answers to questions about birds, insects, reptiles, mammals and plants by browsing through the app content. During his time in South Africa, Nasser and his companion will enjoy an immersive safari experience at the Kruger National Park located in the Mpumalanga province and spend time in the famed Lesedi Cultural Village, a village located in the Gauteng province. There they will experience the cultural traditions of the people of Southern Africa. Nasser will also visit the vibrant cities of Pretoria and Johannesburg. The award ceremony was marked by a performance by 21 students from Al-Khansaa Primary Independent School for Girls. The students gave a nature inspired performance that presented the Qatar e-Nature competition in a creative and entertaining way. After the play, the classical pianist and award-winning artist, Sonja Park and her young team, regaled the audience with three musical numbers, Spring from Four Seasons by Vivaldi and Czardas by Monti. Following Sonja’s recital, a musical piece called ‘Drifting Away’, a song specially composed for this occasion, by 16 years old’ Lizzi Djikstra from Doha College accompanied with Tricia Ng aged 10 and Dani Kim aged 16 was performed for the audience. Qatar e-Nature application has recently won two regional awards, “Smart Mobile Application Award” as part of the Smart Government Excellence Awards, during an awards ceremony in Kuwait, and “Best Mobile Government Service Award” in the environment category in the Arab Region during the Government Summit in the United Arab Emirates. Sasol will continue to build on the success of this innovative application. Sasol’s corporate social responsibility efforts in Qatar include a variety of social, educational, entrepreneurial and environmental initiatives.